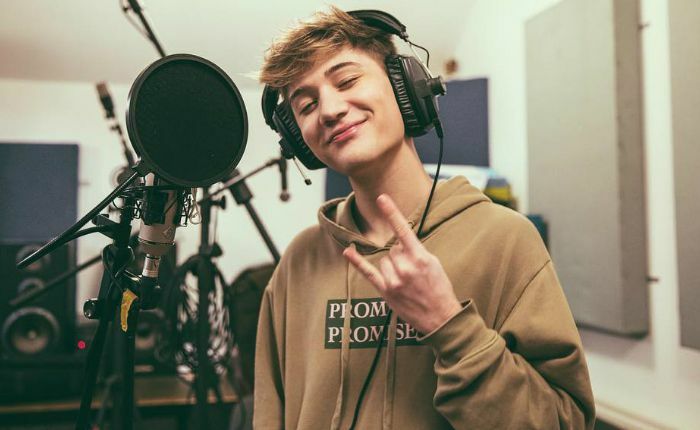 Houssein South is an English singer, songwriter and social media star who is best known for his singles “5 Bucks”, “Walking Away”, “Summer Night”, “Tokyo”, and “The Days”. Hailing from a wealthy family, he got inclined to music at a very young age. He performed at the 2008 United Kingdom National Tour of the musical “Chitty Chitty Bang Bang’ and went on his first pop music tour in 2017. Houssein South was born on June 3, 1999, in London, England. He is currently 19 years old. Houssein is the only child to his parents Ramadan Guney, a politician and businessman and Diane Holliday. His father died on November 2, 2006. His maternal half-brother is Kevin Holliday, and Pamela Holliday is his maternal half-sister. His stepmother, Süheyla, died in 1992. Houssein has six paternal half-siblings, including his half-brother Erkin. He graduated from Hoe Bridge School, a private academic school in Woking, England. He was good in academics throughout his school years and at 13, passed the 12 Common Entrance Exams with straight A’s and A’s. Houssein has been in a relationship with fellow YouTuber, model, and social media star, Amelia Gething since 2017. He released his first single “Higher” in 2017. He released his official debut single “5 Bucks” in February 2018 which reached the Top 100 in the UK iTunes charts. His other singles include Walking Away, Summer Night, Tokyo, and The Days. In 2018, he appeared in an episode of the entertainment show, Saturday Mash-Up! He is best known for his singles “5 Bucks”, “Walking Away”, “Summer Night”, “Tokyo”, and “The Days”. Unfortunately, we do not know the exact details related to his net worth and salary at the moment. He lives in London. He developed an interest for music at the age of six when his father bought him a drum kit. At age 9, he starred in the musical Chitty Chitty Bang Bang during its United Kingdom tour and eventually he landed with a two-year deal with The Sound Of Music UK Tour. He joined the video uploading platform, Vine, in May 2014, and began posting covers by popular artists. At at height of his popularity on the app, he amassed over 250 million views. Houssein branched out to TikTok (formerly Musical.ly) after the app was officially shutdown in 2017. He has over 1.4 million fans on the app, which in fact, helped him to gained popularity as a singer. He has attended various social media events such as Vidcon EU, VidCon and Playlist Live. Houssein’s music idol is Matthew “Matty” Healy. He has accumulated over 70 thousand subscribers on his self-titled Youtube channel.